I hope your week’s going fine. I’ll be reviewing one of the most popular makeup tools right now, the Real Techniques Miracle Complexion Sponge. I had wanted this sponge for quite sometime but just never got it(I’m more of the “brush” kind of girl). One of my friends got it for me last month when she travelled(I mentioned it in my July Buys here). This versatile beauty tool was designed with a revolutionary foam technology to evenly blend makeup for a smooth enhanced finish. Use damp for a dewy glow/dry for full coverage. 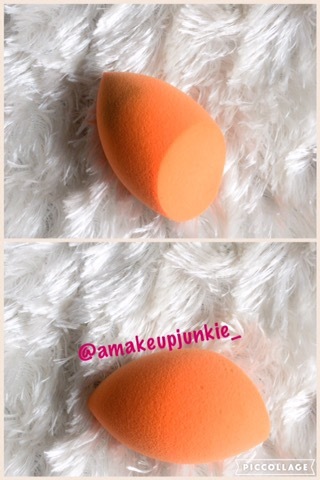 The miracle complexion sponge is orange in colour and does not have the conventional “beauty blender” shape. It has different sides which serve different purposes; the rounded edge is for applying foundation all over the face, the pointed tip for covering specific blemishes and the flat surface for applying highlighter around the eye or to apply foundation over the face. As all “beauty blenders” are, it can be used dry(to create full coverage) or damp(to create a dewy and less coverage). I find that it works way better when used damp. I think it’s a really good multipurpose tool for applying foundation or concealer and blends out product well. And it’s pretty to look at. However, I have a few problems with this sponge…First, it soaks up, drinks up, swallows(whatever you call it…) product. I kept applying more foundation before I realized it was the sponge. You can reduce this by applying the foundation or concealer to your face first before blending. My second issue with this is that it’s really hard to get stains out(it’s a mini-battle) and you can’t be too forceful. This brings me to the last and most serious problem I have with it: it tears quite easily. You have to be gentle when holding or washing it. I’ve washed mine just once and it has one and a half tears in it.. I like this sponge and I think it’s great(especially for the price) but it had issues regarding durability(to be honest). If you’re on a budget and you need something that does the job, this would work. 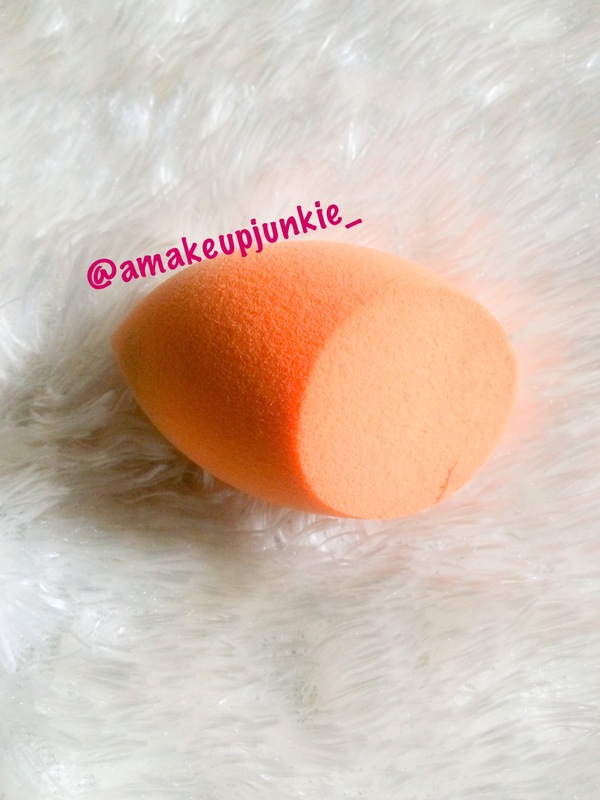 But if you’re a makeup artist or someone who does makeup regularly, I’d advise you to save up and buy a beauty blender. I score it a 7 out of 10. I plan on purchasing the Nuban beauty sponge and seeing how it compares to this(since they have similar shapes) or I’ll take my advice and buy a beauty blender. What do you think?? Leave your comments below, let’s discuss…. I agree, such an awesome sponge, but i go through it soooo damn quickly and would have to repurchase. But the application is flawless. I find that with my blender, using dish soap makes getting makeup out easy! And I dampen it and wash it after every use and it’s still in good condition. Nothing else I tried washed the stains out so easily! Is your blender the Real techniques one or the Beauty blender one? I used a colored dishwashing liquid and it stained my RT sponge…I’ll use a transparent one next time though.